There is a lot of rave about Macarons at the moment thanks to Masterchef. Having not tried one before I had been searching desperately for some gluten free ones. 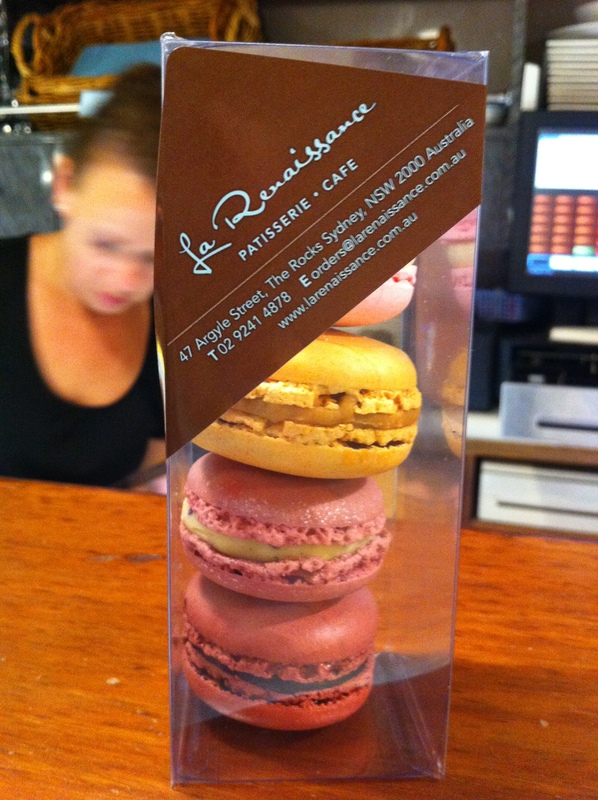 So when I was in The Rocks with a friend the other night and we walked passed La Renaissance I crossed my fingers and went in to find out if their macarons were gluten free. Much to my excitement they were! My friend and I bought two each, I got the salty caramel, she got the dark chocolate ganache and we shard one rose and one passionfruit. From these my favorite was the rose which tasted like Turkish Delight followed closely by the salty caramel. My friend loved the dark chocolate ganache. However, neither of us were fans of the passionfruit and milk chocolate combination. The macarons were so good that we went back to get another four each. I chose the salty caramel, rose, violet and blackcurrant. The violet one was amazing and the blackcurrant was also great. My friend got a chocolate coconut one which apparently tasted like a bounty bar and was amazing. I cannot wait to go back and get a four pack of salty caramel, coconut, violet and rose. Let’s just hope they don’t change the flavours on me! Oh and don’t get macraons confused with macaroons. A mararoon is a “light, baked confection, described as either a small cake or meringue like cookie depending on its consistency”. The original macaroon was a “small sweet cake consisting largely of ground almonds” similar to Italian or Moroccan amaretti. Are you a macaron fan or are you having trouble understanding what all the fuss is about? These look amazing!! I wish we had more variety where I live – thankfully some speciality bakeries are starting to make some. Delish! Macarons always look so delicious with their bright colours and ganache. 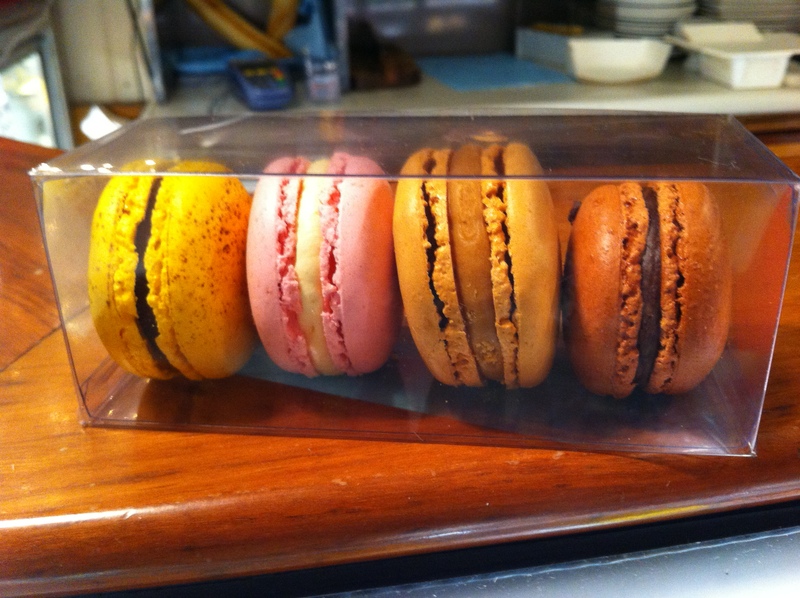 I want to try the salty caramel and blackcurrant macarons! La Renaissance is on my ‘to visit’ list…I also want to try their desserts, have you seen those cakes?! You definitely have to visit! Everything they sell looks amazing!